Do not miss amazing trip in the footsteps of one of the greatest Poles John Paul II and Saint Faustina Kowalska! We would like to offer you an unforgettable tour! During the Saint John Paul II and Saint Faustina Kowalska tour you will visit unique sites related to the lives of the great Pope and of sister Faustina such as for example: Wadowice (the Pope’s birthplace) Krakow (where He grew up and studied) or Zakopane – (charming city in the Tatra mountains where He loved to trek and ski). 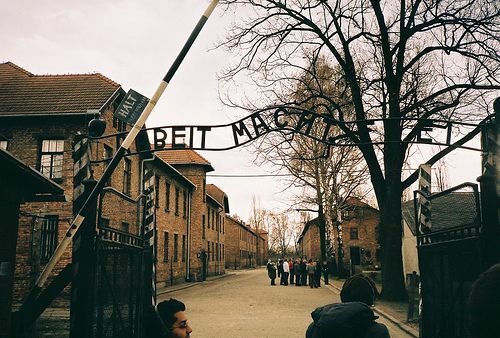 We will also take you to the Lagiewniki Sanctuary (where sister Faustina worked), Czestochowa (the most important Polish shrine housing the famous Black Madonna) and Auschwitz Nazi Camp (the symbol of Holocaust). We guarantee hotels of 3, 4 or 5*,according to your preference. 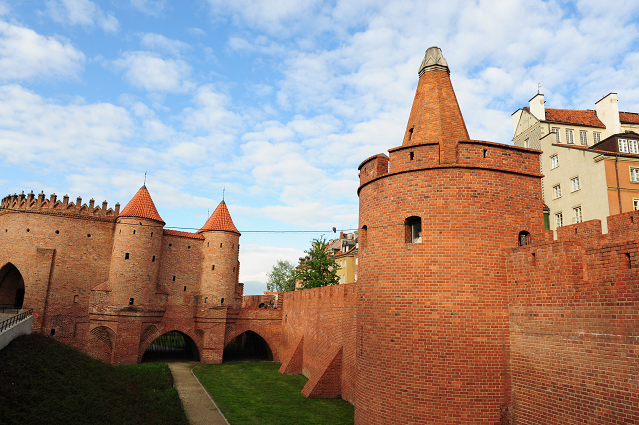 The extended 8 days option includes also the visit to the capital of Poland (Warsaw). We will show you the holy places visited by the Pope and we will learn about the everyday life of sister Faustina. Outside the city you will be able to admire the monastic complex in Niepokalanow, Saint Faustina’s house in Glogowiec and the parish church in Swinice Warckie. Below you can find the detailed agenda of the Saint John Paul II and Saint Faustina Kowalska tour. Pick up from Krakow airport. Transfer to the hotel. Krakow sightseeing. Krakow was the capital of Poland until XVI century. Nowadays it is called “the city of the artists”. 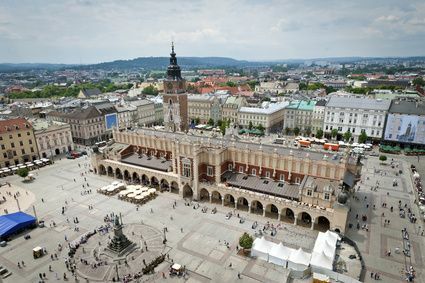 It offers an unique atmosphere thanks to its world class historic monuments such Sukiennice, Mariacki Church, Krakow Barbican, Colegium Maius and Wawel Hill. 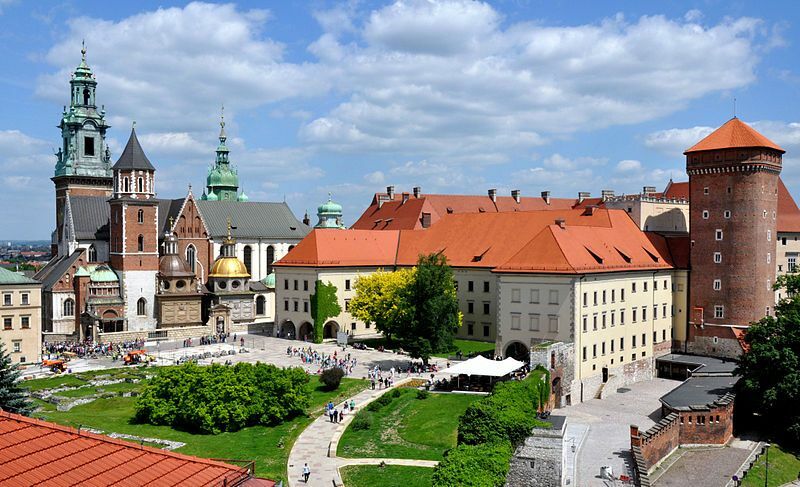 Wawel Hill is a place of great historical significance for the Polish people. That is where royal weddings, funerals or coronations took place. 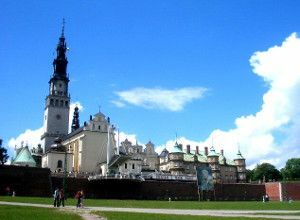 Wawel is also housing a real masterpiece Lady with an Ermine – a painting by Leonardo Da Vinci. Afterwards, you will see Bishop’s Palace, known for being the residence of the Pope during his visits to the city. The Pope used to give his blessings and talk to the people from one of the Palace windows. Next to the Bishop’s Palace the Church of St. Francis of Assisi is situated. Cardinal Karol Wojtyla prayed there very often. As a Pope he visited the church twice – in 1979 and 1991. Inside there is the Pope’s favourite bench where He used to meditate. 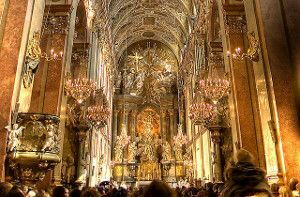 You will also visit Krakow’s church of St. Florian’s where the Pope used to work as a vicar. Then visit the newly-opened Have No Fear! 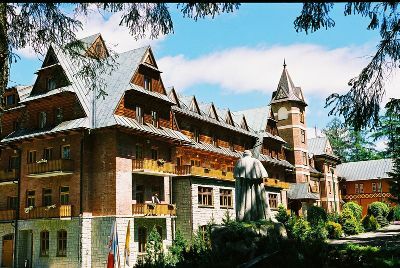 John Paul II Centre. 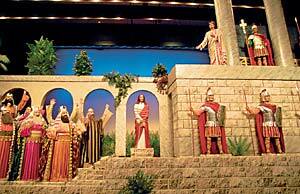 Complex consists of sanctuary, museum, tower with an observation deck, hotel, amphitheater and Stations of the Cross. A reliquary containing the blood of Pope John Paul II can be found in the sanctuary. On the walls you will find pictures presenting Pope’s visit in: Lourdes, Fatima, Mariazell, Czestochowa and Kalwaria Zebrzydowska. At the end of the Krakow tour you will have the opportunity to marvel at the sanctuary of the Divine Mercy in Łagiewniki. This holy place was consecrated by the Pope at the beginning of the 21st century. 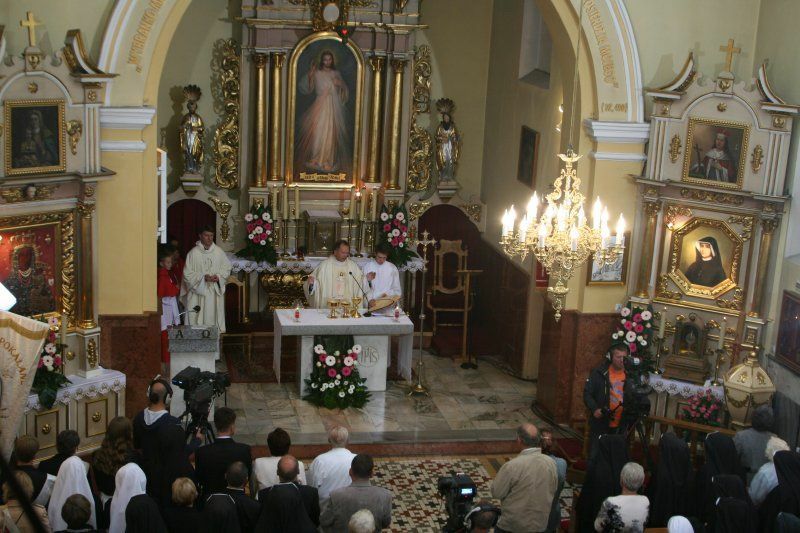 Nowadays it is an important pilgrimage destination Because of holy relics of Saint Faustina Kowalska – a famous Polish nun who lived there before World War II and had visions of Jesus. In her diary, then published as a book “Divine Mercy in My Soul”, she described her thoughts, prayers and mystic conversation with Jesus Christ. Sister Faustina founded the cult of Divine Mercy and was beatified in 1993 and canonized as a saint in 2000. To commemorate her life, Pope John Paul II established the first Sunday after Easter as the Feast of Divine Mercy Sunday. Just next to the sanctuary you will see the monastery buildings where Sister Faustina lived and worked. Trip to Czestochowa. 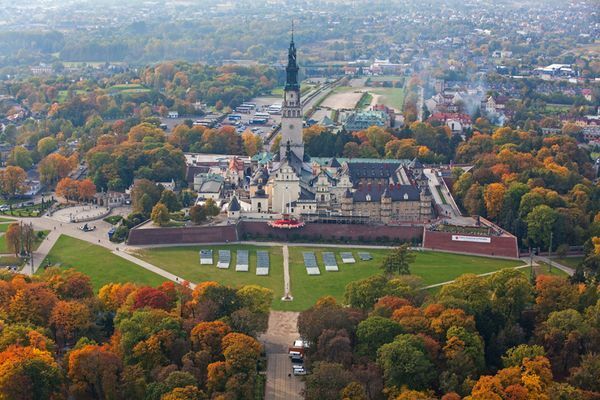 The city is known for the famous Pauline Monastery of Jasna Góra, which is the home of the Black Madonna painting. Jasna Góra is the country’s greatest pilgrimage destination visited by more than 5 million pilgrims yearly. Important attractions are votive objects related to John Paul II such as golden rose given to the Monastery in 1979 or a part of cassock stained with blood after assassination attempt in 1981. The Pope used to visit Czestochowa every time he was in Poland. During the tour you have also a chance to admire the Golghota – new Stations of the Cross designed by the famous Polish painter Jerzy Duda-Gracz. Morning transfer to Kalwaria Zebrzydowska. Its devotional complex is visited by one million pilgrims a year and is one of Europe’s most interesting landscape and architectural projects. 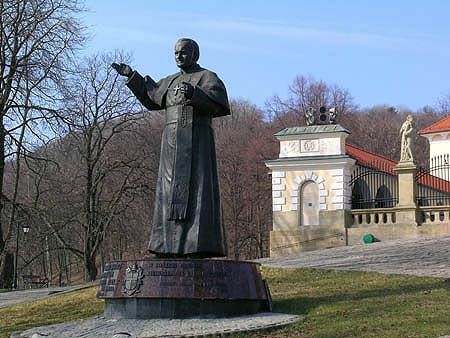 John Paul II frequently visited Kalwaria before and during his pontificate. The origins of the Sanctuary go back to the beginning of the 17th century and today it forms part of the UNESCO World Heritage List. 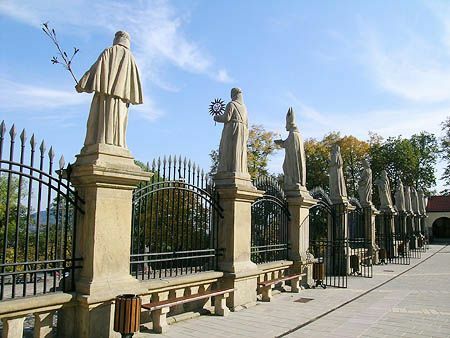 Kalwaria is widely known for its Stations of the Cross inspired by the Calvary of Jerusalem. 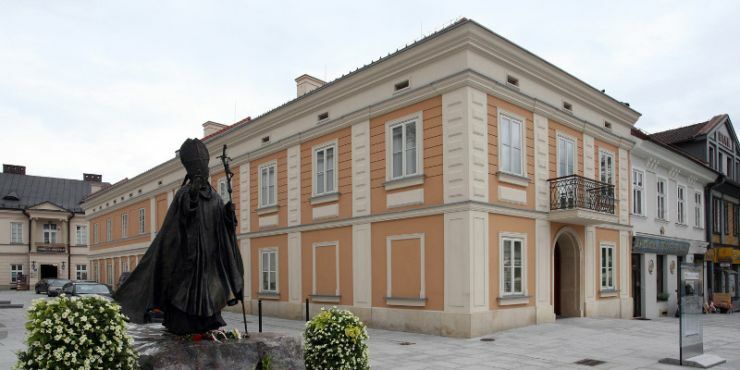 Next destination is Wadowice – the birthplace of Karol Wojtyla (Pope John Paul II). You will visit his home, later converted into museum. Inside the house “where it all began” you may see a rich collection of family memorabilia. Exhibition contains variety of possessions such as furniture, oven, table, belongings etc. Our programme includes also the visit to Basilica of the Presentation of the Blessed Virgin Mary from 15th century, where Karol Wojtyla was baptized. On the wall you can find the picture of Our Lady of Perpetual Help where the Pope prayed daily. Then we will visit the secondary school and Saint Peters Church, built to express gratefulness for electing Karol Wojtyla in the Papal conclave and saving his life in 1981. After sightseeing you will taste “kremowka”, the favourite cake of young Karol. 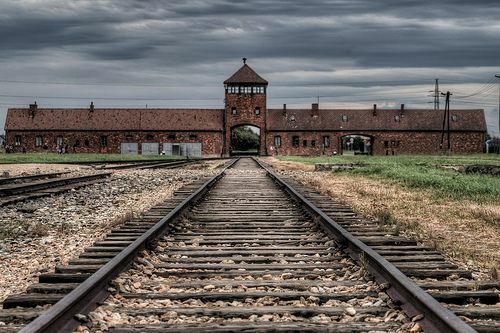 On the way back to Krakow you will stop at Auschwitz Nazi Camp – a primary symbol of the Holocaust. 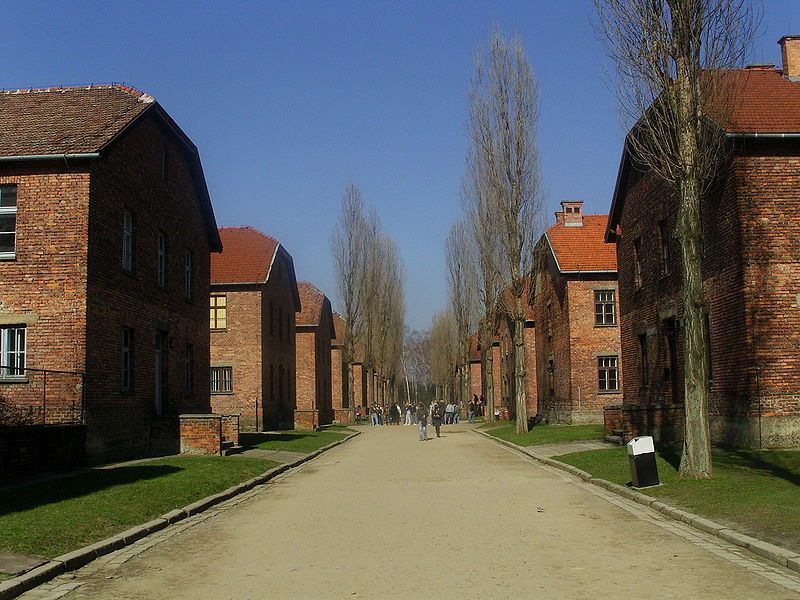 It served as a concentration and extermination camp. It was built and operated by the by Nazi Germany during World War II. The collection of the museum contains original documents, suitcases, shoes and other belongings of the murdered prisoners. The camp is an important point of the UNESCO World Heritage Sites List. To delight all your senses you will visit Zakopane, a picturesque town at the bottom of the Tatra Mountains. 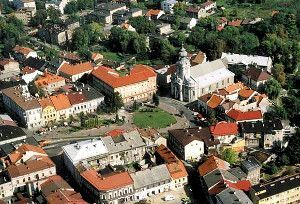 The city is the center of Goral (Polish highlanders) culture known as “the winter capital of Poland”. 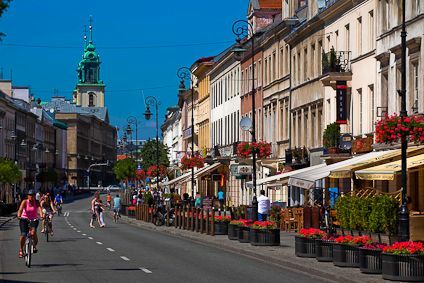 You will walk down the famous “Krupowki” street – an ideal place for shopping. 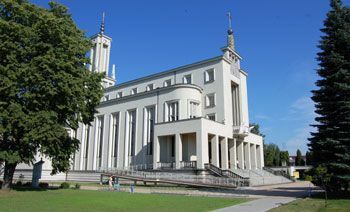 Then you will see Sanctuary in Krzeptowki and the House of Grey Ursulines in Jaszczurowka, both frequently visited by the Pope. John Paul II used to trek and ski in the Tatra Mountains. He marveled at the Morskie Oko Lake and Chochołowska Valley. 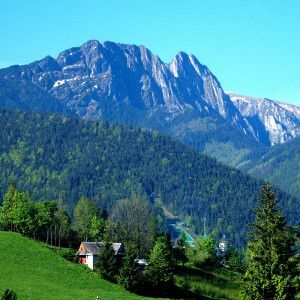 At the end you will have a short funicular trip to the “Gubalowka” Mountain where you will have a chance to admire the panorama of the Tatra mountains. 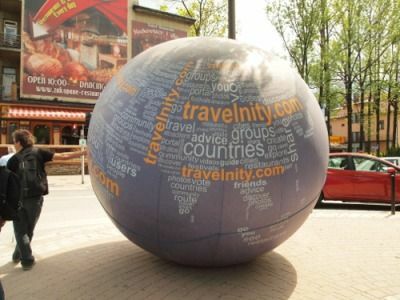 Transfer to the Krakow airport or extension of the trip to Warsaw. 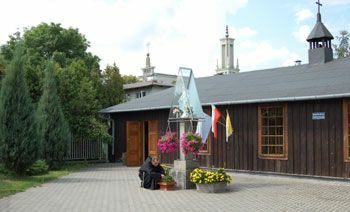 On the way to Warsaw we will stop in Glogowiec, where sister Faustina was born in 1905. Exhibition in her house contains family memorabilia. Just 2 km away from this village lies Swinice Warckie. In the parish church where little Faustina was baptized you may admire three baroque altars and a picture of Saint Faustina. 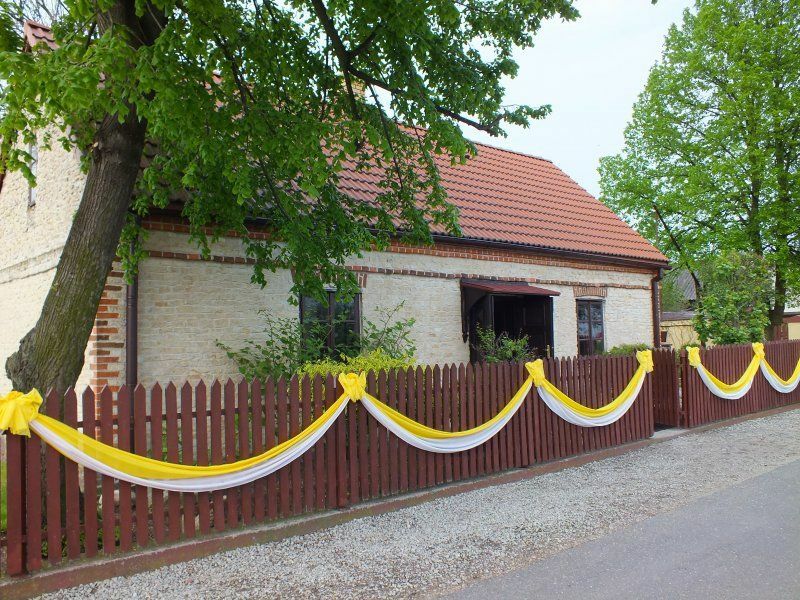 After that you will visit Niepokalanow, home of Franciscan monastic complex founded in 1927 and devoted to the cult of Saint Maximilian Kolbe (later canonized). During World War II he provided shelter for injured soldiers, refugees, Jews and volunteered to die for a stranger in the Nazi camp of Auschwitz. Pope John Paul II canonized Maximilian Kolbe and visited Niepokalanow where he blessed 70 missionary crosses. The Complex serves also as a Marian shrine where a number of pilgrimages pray every year. Finally we will arrive in Warsaw. 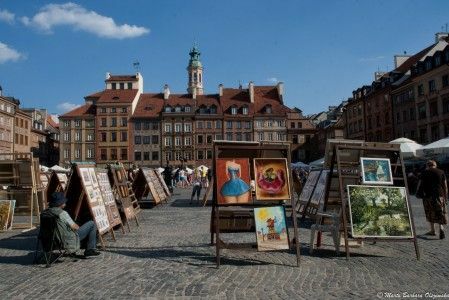 The afternoon tour includes places located in the Old Town which is the main tourist attraction in Warsaw. During the walk guests will hear interesting stories about Warsaw barbican, visit the Old Market Square with the monument of Warsaw Mermaid and listen to the history of the most important church in the capital– St. John’s Cathedral. You will also visit St. Anna Church where Pope John Paul II celebrated Holy Mass in 1979. That year he met with students and said: “I looked for you and you have come to me. This is what I thank you for”. Thousands of Varsovians gathered in this church after Pope John Paul II death. 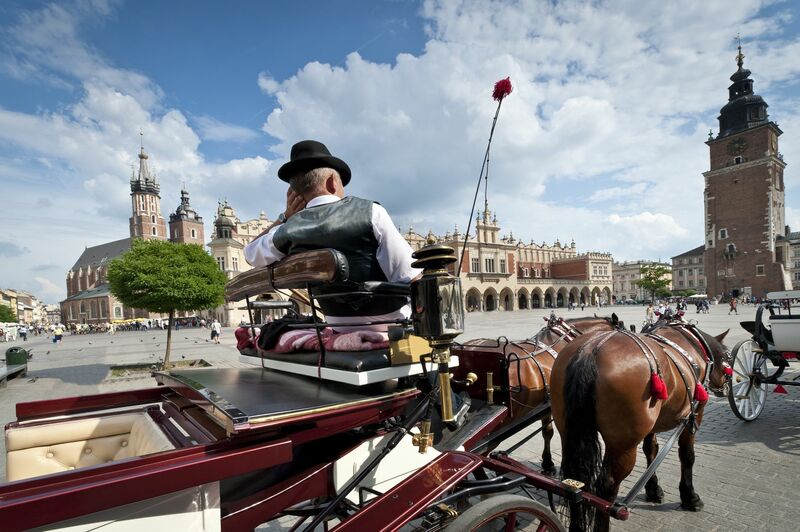 After the breakfast you will enjoy a sightseeing tour of Poland’s capital, beginning with Pilsudski Square. There, during his first visit in Poland as a Pope in 1979, John Paul II said one of his most memorable words: “Let your Spirit descent and renew the face of the Earth, the face of this land”. These words became the slogan of the Solidarity movement and had a special significance for the Polish society, at the times when the idea of changing the political system was evolving. The Holy Mass gathered approximately 500 000 people. 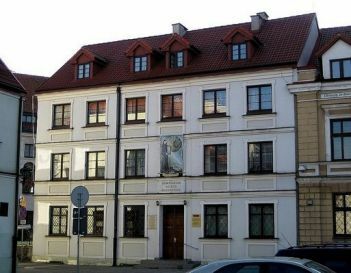 On Zytnia Street you will admire the Convent of the Congregation of the Sisters of Our Lady of Mercy which sister Faustine entered in 1925. 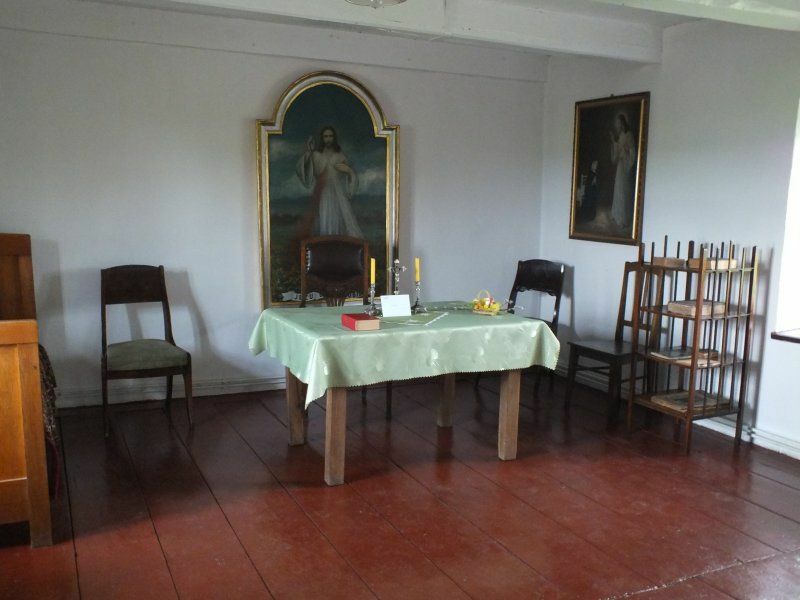 Nearby there is a chapel of the Congregation of the Sisters of the Family of Mary. Sister Faustine prayed there in 1932. Visiting the Royal Route which leads from the Old Town to Wilanów Palace, the group will listen to the history of its most precious objects like Presidential Palace, Holy Cross Church with the urn of Frederick Chopin’s heart immured in a pillar, University of Warsaw and baroque Visitationist Church. 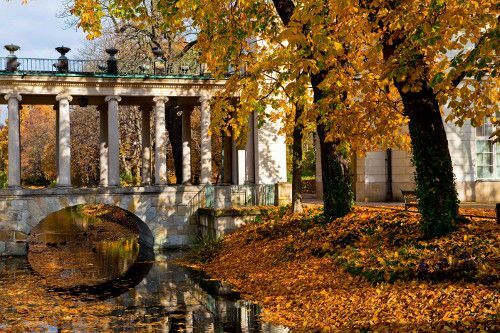 When visiting Lazienki Park tourists will see the Old Orangery and walk around the beautifully maintained gardens from 18th century until they reach the outstanding Palace on the Isle. Transfer to the Warsaw airport. 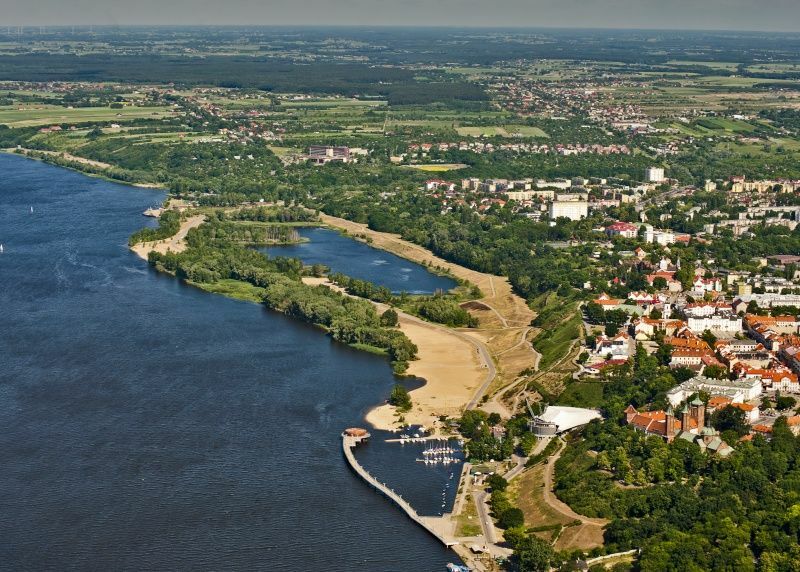 On special request there is a possibility to visit also Płock (120km from Warsaw) where Sister Faustine had her first visions of Jesus Christ and where the famous painting was painted. Meals: HB or FB depending on the preferences, “kremowka” cake in Wadowice. Veuillez remplir ce formulaire et nous vous contacterons dans les plus brefs délais.